Gender parity, championed by International Women’s Day, is a cause that is wholeheartedly endorsed by Lucille Sive, CEO of The Travel Corporation’s (TTC’s) Africa Division. One of the first women in the travel industry to break the “glass ceiling,” Sive proudly promotes gender parity in her home country, South Africa, by supporting sustainable economic growth for disadvantaged women. Sive has spearheaded many sustainable and responsible travel initiatives in Africa, and these are what she is most proud of and holds closest to her heart. Uthando, a unique non-profit organization which raises funds for life-changing community development programs in Cape Town, was personally selected by Sive to partner with African Travel, Inc., a TTC brand that she oversees. Sive and African Travel are deeply involved with Uthando projects that help women in the Khayelitsha township gain skills and earn income. The eKhaya eKasi “Home in the Hood” Art and Education Centre is the setting for two of these projects. A vibrant community resource, eKhaya eKasi offers after-school programs in literacy and performing arts for children, and assists unemployed adults with job skills and entrepreneurship training. Beading and weaving are among the skills women learn here, and the artisanal gifts they make and sell allow them to support their families while improving the health of their local community. 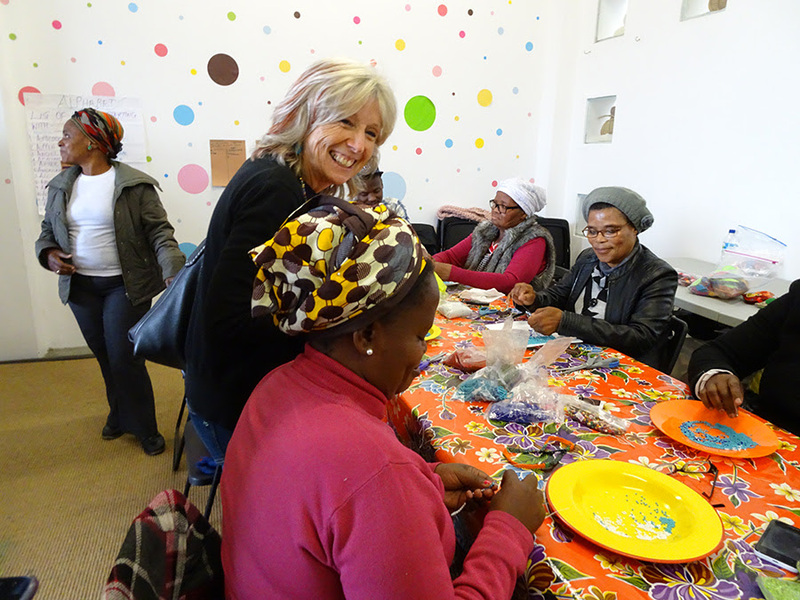 Guests on various African Travel itineraries receive beaded rhinos made by the women of eKhaya eKasi as gifts, and starting in summer 2018 African Travel also plans to give blankets made by these women to local orphanages and underprivileged children. • Stay at hotels or lodges that are environmentally conscious and value sustainability and conservation. For example, African Travel’s Tanzania Honeymoon itinerary includes accommodation at One Nature Nyaruswiga, an eco-camp where luxury living, sustainability, ecology and conservation coexist in one place. • Take trips that support conservation and sustainability. Travelers who book African Travel’sMajestic South Africa itinerary directly help rhino conservation; the company also donates $50 per couple towards the building of a rhino boma at Shamwari Game Reserve. • Bring your own water bottle. Discarded plastic water bottles are not only an unsightly scourge on the landscape, they are also harmful to animals and wasteful of resources. Bringing your own re-fillable water bottle means a new one doesn’t need to be manufactured, and decreases the amount of garbage that end up in landfills or as stray litter. • Practice safe social media during safaris. When you’re snapping all those amazing wildlife photos to share on social media, make sure you aren’t putting the animals in danger by alerting poachers to their whereabouts through geotagging your images. For more information or to book a 2018 adventure, contact your favorite travel professional, call African Travel, Inc. at (800) 727-7207, or visit the africantravelinc.com.